I am trying to perform simulations using 26 different dosing regimens and each regimen has multiple administrations with different doses at each time point. Could you please let me know if I can upload all regimens in an excel format to create an Administration Protocol template to avoid manually entering all 26 dosing regimen. Excel is not supported. 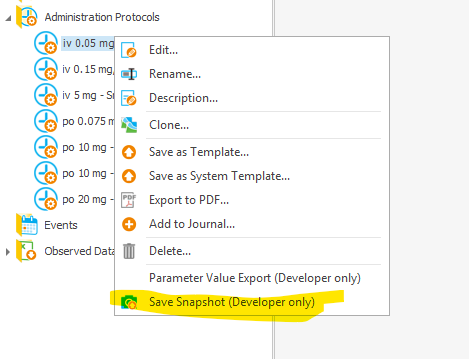 However, you could use the snapshot mechanism. You would have to start PK-sim using the --dev flag. Then you can create one administration protocol, export it to snapshot (json file), open edit with any editore (vscode is great) update it to fit your need and reimport. 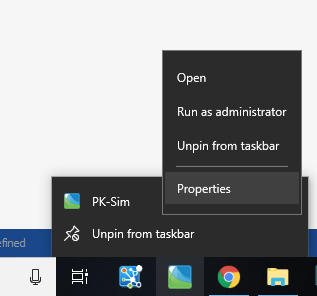 Hi @msevestre, what are the implications of starting PK-Sim with the --dev flag? What does it change? Thank you so much for answering my question within such a short time. I was able to convert my Admin Protocols in Excel to .json files and got them imported into PKSim and run simulations accordingly.